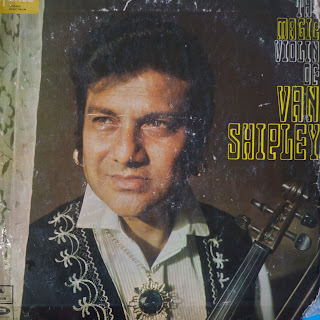 Van Shipley, one of India’s most prolific popular instrumentalists, until his death in 2008, issued a series of LPs throughout the 60s and 70’s, in which he arranged and performed contemporary and past Bollywood hits. 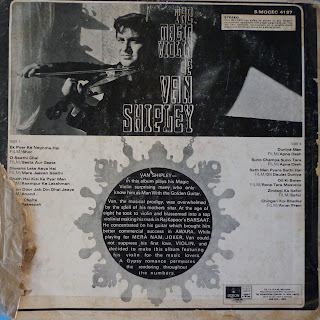 Never a household name (except in his own, of course) he was nevertheless, a prominent ‘behind the scenes’ player on hundreds if not thousands of film soundtracks. About the closest you got to a session musician in India. I’ve posted his biography a few months ago which you can access here. It is worth a read. He is one of the rather unsung but important cadre of Indian Christian or Goan musicians who collectively had an influence beyond what their numbers would suggest on the development of India’s most popular popular music. 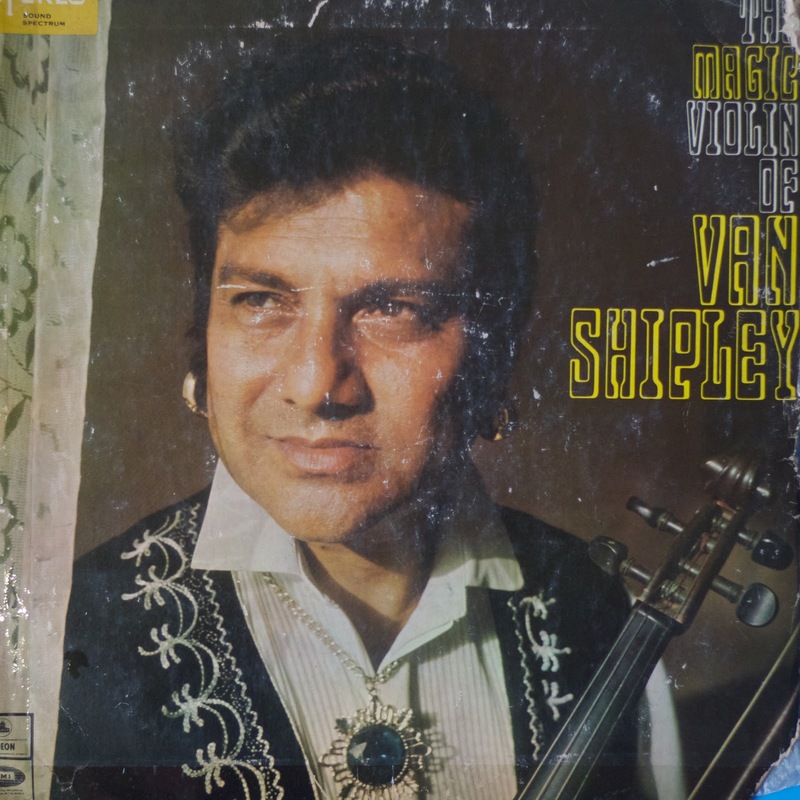 Van is most famous for his guitar work but in tonight’s selection serves up a big portion of hits played on the violin. He was known as the ‘Man with the Golden Guitar’. 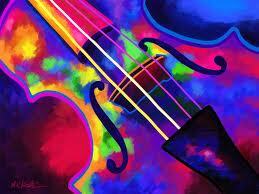 This album is named, The Magic Violin. 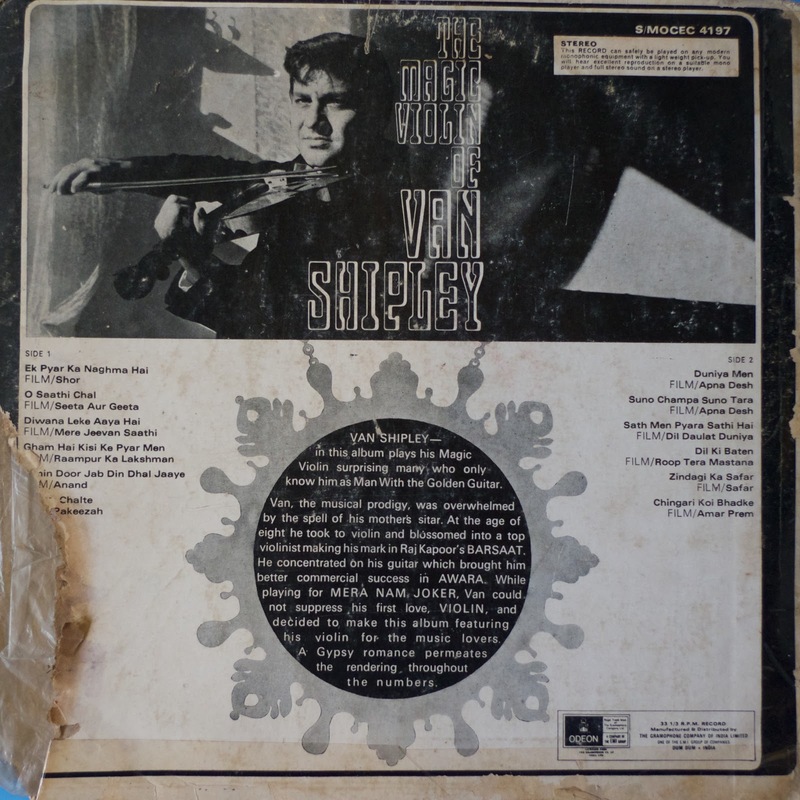 I personally enjoy this album more than his guitar work, especially the slower numbers, which really allow Van to squeeze the soul from the strings. 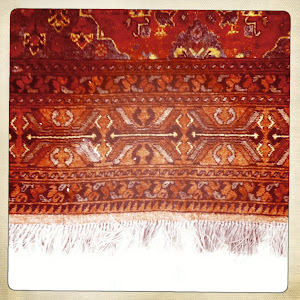 Note: track 2 and 8 on this LP were simply too mutilated to recover despite my best efforts. Apologies to all accountants and other perfectionists.